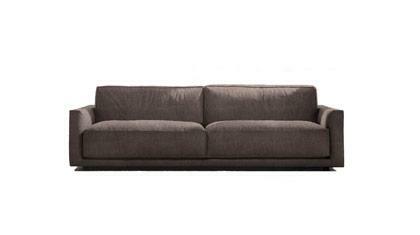 The Christian leather sofa is available in standard dimensions or can be custom made according to your needs. Shop on-line or in one of our showrooms, our furniture consultants are ready to assist you. 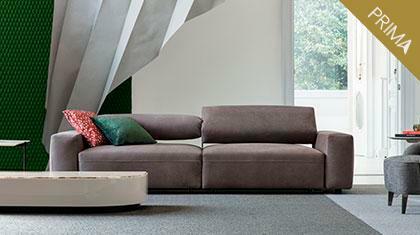 Christian is a modern sofa, sophisticated and contemporary, designed by the Berto Design Studio and hand made by master artisans in the Berto laboratory. Christian definitively calls for large proportions and volumes, perfectly outlined by the cozy seat cushions, seat backs and soft tailoring details, such as plucked stitching in the fabric version and a raw cut in the leather version. The feet from the original design are in chromed anthracite steel. 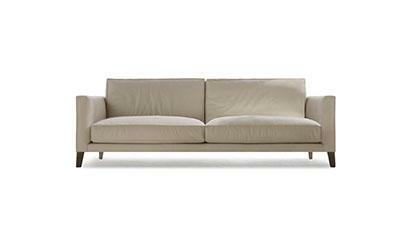 A team of professionals makes the Christian leather sofa.